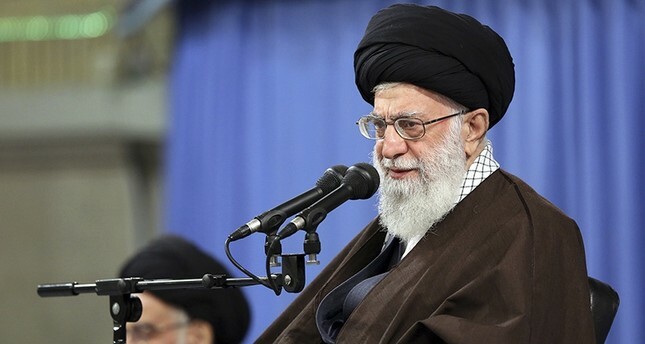 Iran's Supreme Leader Ayatollah Ali Khamenei criticized the government for economic mismanagement after U.S. imposed biting sanctions on the country, Iranian state TV reported Monday. "More than (U.S.) sanctions, economic mismanagement is putting pressure on ordinary Iranians ... I do not call it betrayal but a huge mistake in management," Khamenei was quoted as saying. The United States reimposed strict sanctions against Iran on Tuesday, with Trump threatening to penalize businesses from third countries that continue to operate in the Islamic Republic. Iran has denounced the sanctions as "U.S. unilateralism." "With better management and planning we can resist the sanctions and overcome them," Khamenei said. Iran's rial currency has lost about half of its value since April in anticipation of the renewed U.S. sanctions, driven mainly by heavy demand for dollars among ordinary Iranians trying to protect their savings. Thousands of Iranians have held protests in recent months blaming the government's expansionist foreign policy for the country's economic crisis, citing the government's costly war in Syria and Yemen as well as the ongoing confrontation with the U.S. The protests in cities and towns across Iran have often begun with slogans against the high cost of living, high prices and a lack of jobs, but have then quickly turned into anti-government rallies.